'Captain Marvel': Does Nick Fury's Tape Trick Actually Work? ‘Captain Marvel': Does Nick Fury’s Tape Trick Actually Work? 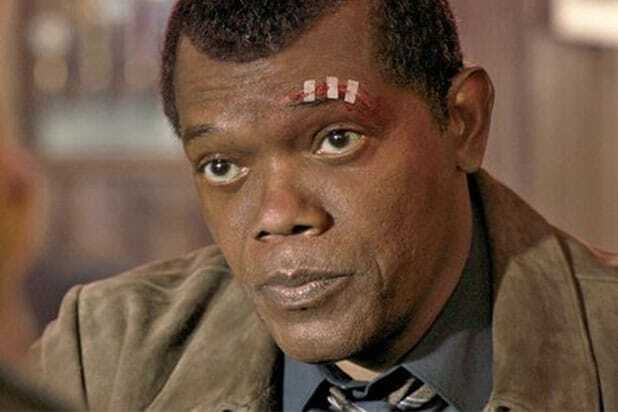 “Captain Marvel” is full of references to the ’80s and ’90s, and even Samuel L. Jackson’s Nick Fury throws it way back with an amateur tape trick to get himself out of trouble. However, would it work in real life? TheWrap spoke to Valerie Castillo and Elijah Horland from the Science Channel’s “MythBusters Jr.” to get to the bottom of it. Castillo is 15 years old and is skilled in robotics, CAD drawing and 3D printing. Horland is 13 years old and is a self-taught maker, programmer and circuit wiz. In “Captain Marvel,” Carol Danvers (Brie Larson) and Nick Fury (Jackson) are locked in a security room when Fury takes a piece of tape and lifts a fingerprint off his badge that the security guard had touched. He then uses that piece of tape on a fingerprint scanner… and the door magically opens. “It definitely wouldn’t be possible,” Horland said, explaining that there are two types of fingerprint scanners: optical scanners and capacitive scanners. Optical scanners uses tiny camera sensors to read the fingerprint’s valleys and ridges, while the capacitive scanner reads your fingerprint with thousands of electric sensors by sending multi currents through it. However, Castillo referenced an old MythBusters episode where Jamie Hyneman and Adam Savage tried to get through a security door using a photocopy of his fingerprint, as well as melting Latex on their finger to get the print and using ballistics gel. All of those methods worked. “It all depends on the kind of scanner they are using, of course,” Castillo said. Horland and Castillo, both big Marvel fans, brought up another MCU film in which a character needed to get through a scanner: Scott Lang tricks a scanner in “Ant-Man” to get into a vault by using a gel imprint of Hank Pym’s fingerprint. “That would work in theory because he got the ridges right,” Castillo explained. Well, there you have it, folks — Fury and Danvers would’ve needed to find another way to get through that door! ‘Captain Marvel': What the Hell Actually Is a Flerken?